Ah, the Pleiadians. The ancient knowledge of unconditional love comes forth from this place in the stars. Taygeta, full of it’s blue light, and consciousness of the angels, shines down into Erra for all of the souls there to know love, not in the physical pink ray, but in the divine blue. Like I said, many of the Starseed traits found elsewhere, are based on Zodiac, which is just ridiculous. Some say “Only certain people in a certain group can be a Pleiadian”, some say, “You have to be white, with Blonde Hair”. Bogus… That is all I am saying. So, then, who are the true Pleiadians? As a soul descended down from Pleiades, you would be so highly creative, but your creativity would be based on the love that you feel towards someone or something. You would feel a sense of peace in life, but also with a counter reaction of feeling separate, different, outcast. You would want everyone to like you, thrive to make them see that you are a good person deserving of their attention. A trait of the Incarnated Angels too, which is why I say soul readings are so important. You never know based on traits only. But yes, there are similarities. The angels trained these beings. I have heard Pleiadians were really demons. I have heard that they were angels themselves. None of it true. Pleiadians are open minded, understanding, compassionate, trying to make their points in life, because we know the right way to do things. They have the answers and solutions, only we are so passive, and accepting that we do not enforce the truth. They allow the people to come to terms with it. They are easily hurt, and sensitive. They have no tolerance to pain, meanness, or competition. It actually gives them such anxiety in those things, that they panic. They abhor it. Confrontation is a big trouble for them. They want to be a part of everyone’s reality, and use kindness as a way to enter. Only that kindness is something others are not used to, so it scares them. They are rubbed the wrong way, and they do not know how to take it. Any hair color applies, because these beings are so advanced and have had many journeys to earth that they can appear in image any way that they choose. Poetic, and full of a hopeless, fairy tale romance, that they desire love above all things. They get sad when we are misunderstood. Pleiadians on earth are like the angels, they fall into things easily, but knowing what the situations or people at hand really are about. They see things others don’t. They know what the end of the road holds, but they follow it willingly with someone we love, anyway. That is how they support them. Ride or die, is the best term because that is what they do. If they can’t beat them, they join them. Pleiadians will walk a bumpy road with anyone who has dedicated their love to them. They are the leaders, those who are looked up to, modeled after, copied, because they are the epitome of a true friend, the most desired lover, and the smartest of intelligence. They have all of the things that a person wants to be, within themselves. 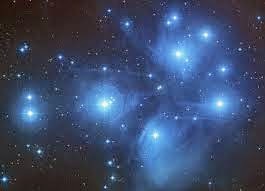 I have visited Pleiades and find many of those traits were handed down from our angelic worlds to them. Therefore, I have similar traits. All angels will be psychic, but not necessarily all Pleiadians. Pleiadians will have the gift of intuition. They “feel” what’s up, and what’s about to come down. It is all through sensing that they “know”. Sincerity is what we ask for. We would prefer the harsh truth over a kind lie. Lies are something we can not stand, because we freekin’ know when someone is lying, every single time, no matter how good you are at it. It is a dishonesty radar that we hold inside of the pineal. That is because we have lived in the upmost truth that ever has existed in the Universe except out of the Angelic realms. Smart, intuitive, coded, no one knows who we are, they can not figure us out, but they have everyone else figured out. In seconds they would know what someone is about, and their hidden agendas, but they still accept. That is the way that they are.